Nearing midnight, anything goes when there are discussion guides, journals, and agendas to print for a full day of home visits early the next morning. 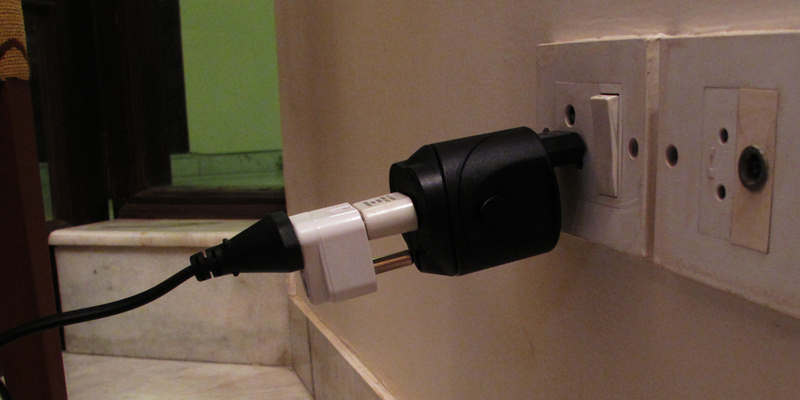 Four different adapters were required for our printer to overcome a particularly stubborn outlet. Only took half a dozen tries or so to get the winning combination. This entry was posted in Places, Travel and tagged Delhi, India, Technology. That is definitely Jugaad innovation!!! !